It is done! The Krogan Vanguard was the last remaining Mass Effect Andromeda character who had yet to have soloed Platinum. Figuring out the right Platinum build for the Krogan Vanguard was one of the harder tasks in this solo. 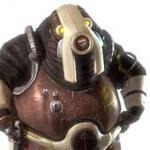 The Krogan can be a durable character, but only if he’s charging constantly and enraged. This approach works when soloing on Gold; on Platinum, enemies do so much damage that you can be downed before Charge comes off cooldown, even when using Shock Trooper and Power Efficiency mods. What I ended up was a build that was more like a Krogan Soldier than a charging, head-butting Krogan Vanguard. I still had Charge at Rank 6, but it was more for getting that additional 75 damage resistance before retreating or for reaching isolated targets near the end of the wave. Fortify gave him a minimum of 50 DR at all times and a maximum of 100 DR with Unmoving Defense. Though useful, I did not choose Explosive Purge because I did not want to lose any of my DR. The Krogan Vanguard has paper thin shields, and he would go down quickly without any damage resistance. I went with Fortify 4B Mobility because this Krogan would have otherwise been a sloth. I also chose Fortify 5A (30%), which worked with Rage (40%) to give me 70% shield regeneration delay reduction. This freed up my equipment slot for the Vulnerability VI (40%) instead of Multicapacitor. With a Targeting VI III booster (45%) and APEX Training 5A (20%), I had 105% weak point damage bonus with my Shorty and Crusader on top of my 58-73% weapon damage bonus (APEX Training, 30% Shotgun Amp III, and Charge). This made the Shorty and Crusader even more powerful. The Crusader was especially deadly when hitting weak points; I just wish I had a Shotgun Rail Amp IV and Targeting VI IV boosters for this match! Got Wave 6 Upload a couple of times in my earlier attempts. Retrieval was more difficult than usual because of the Krogan’s slow movement speed when carrying the package. For some of these characters, I’m going to branch out and do solos on different maps. I got to Wave 5 with the Turian Havoc Trooper on Firebase Aqua and Wave 6 with the Human Guardian on Firebase Zero, so it’s just a matter of time. After 16 solos with non-stealth characters, I have a feeling that the 5 cloak/stealth grid characters are going to be much less stressful. BioVar, plz nerf Vanelsa, he withers my epeen with his OP solos. Hah. Every time I get Hack or Upload for my objectives, I am going to blame you. That’s right! Shouldn’t his “first ever Platinum solo video within 3 hours of the devs releasing Platinum” have finished encoding by now? Yes, but is Vanelsa aesthetic?